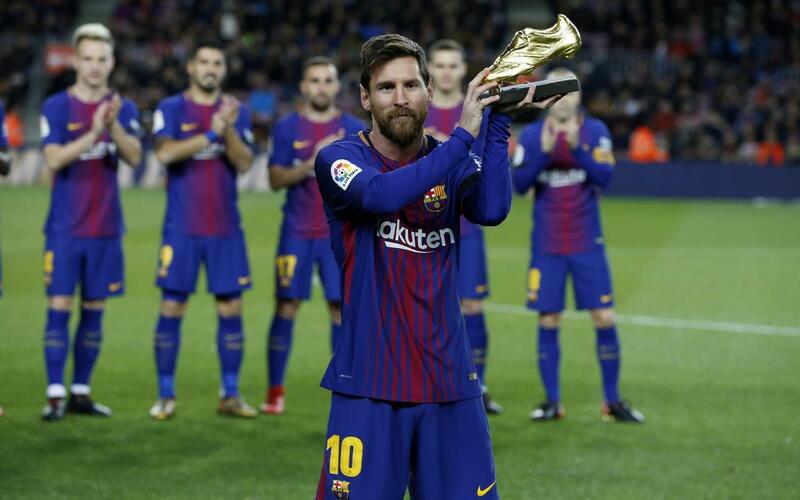 A proud Leo Messi has presented his fourth Golden Shoe trophy to an adoring Camp Nou on Sunday evening, shortly before the action got going as Barça faced Deportivo in the last home match of 2018. The Argentinian was presented with the award for scoring more goals than any other player in Europe’s top divisions at the old Estrella Damm brewery in Barcelona last November 24. Messi netted 37 league goals last season, which meant he repeated the achievement of 2009/10, 2011/12 and 2012/13 – a simply staggering feat.